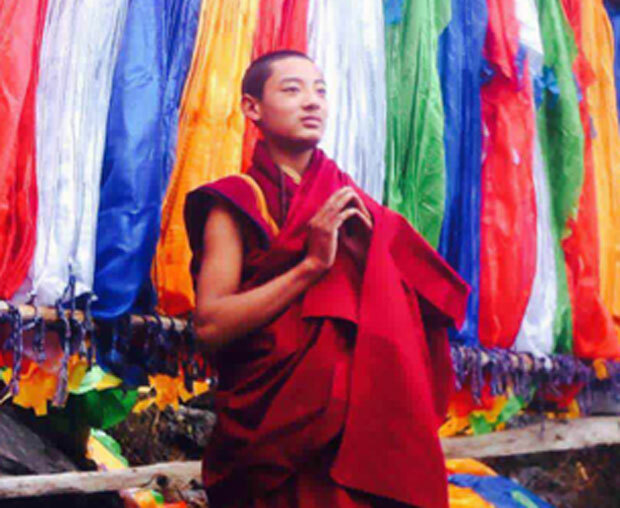 (TibetanReview.net, Mar03’16) – In protest against Chinese rule, a Tibetan monk has set himself afire and died on Feb 29 in Nyagrong (Chinese: Xinlong) County of Karze (Ganzi) Prefecture, Sichuan Province, according to several Tibetan and international media reports. The monk, Kalsang Wangdu of the Retsokha Aryaling Monastery, was reported to have torched himself at around 4:00 PM near his monastery. As he burned the monk “called out for Tibet’s complete independence,” the Tibetan Service of Radio Free Asia (Washington) Mar 1 quoted a local source as saying, speaking on condition of anonymity. Those who witnessed the fiery protest incident were reported to have stepped in and tried to rush him to hospital. But the monk died before reaching the provincial capital Chengdu. There is no information yet how old the monk was and other details about him. However his father’s name was reported to be Sotra, and mother’s Urgyen Dolma. Information from the region, which is largely cut off from the rest of the province by security checkpoints, is extremely hard to obtain, and local officials are reportedly under orders to remain silent about self-immolations, reported SCMP.com Mar 2. It added that an officer who answered the phone at Kardze police headquarters and gave his surname as Li said no such incident had been reported. Kalsang Wangdu’s case brings to 144 the number of Tibetans in Tibet who have since Feb 2009 immolated themselves in protests against Chinese rule. It is also the first case this year. Last year, a total of seven Tibetans carried out such fiery protests.